Look at that mess. What the hell is it? 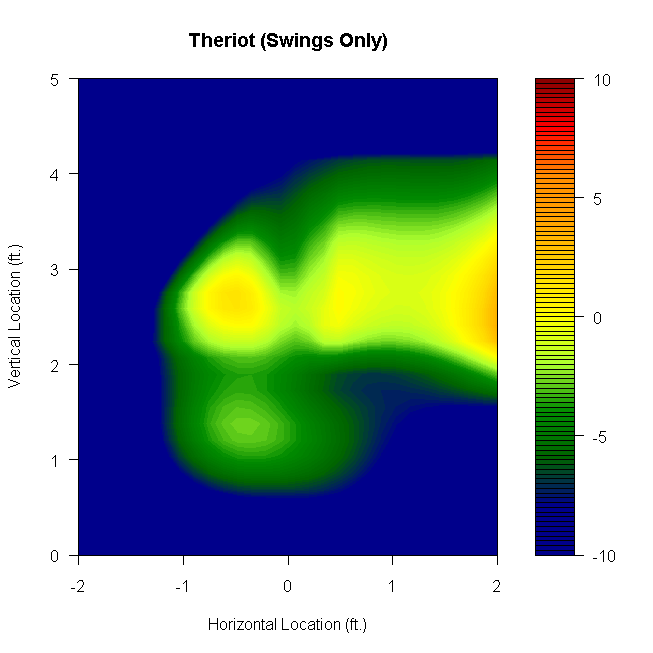 Apparently, it has something to do with Ryan Theriot’s swings, but you can’t be sure. Ever since Hephaestus axed open Zeus’ head and Dave Allen sprung forth, the SABR community has enjoyed lots of neat charts. 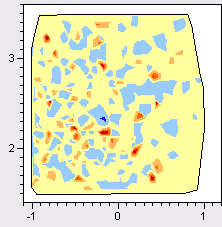 And as was bound to happen, the man co-opted Allen’s ideas and now anyone can simply copy and paste a heat map into existence on their computer. An understanding of how to smooth and regress is not required. 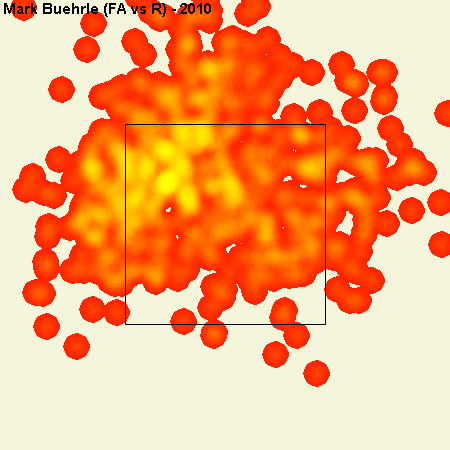 This blood splatter analysis is originally from an article by Mike Fast at Baseball Prospectus about how BIS blows. That article seems to be gone (Bed Jedlovec and his Beatdown International Syndicate probably got to Steven Goldman), but discussion–and the charts–live on at The Book blog. 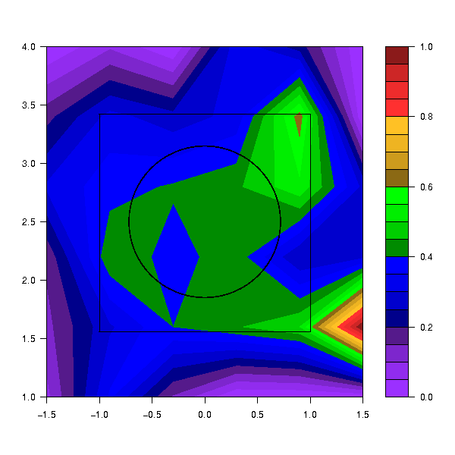 The usually-not-crappy Jeff Zimmerman posted this, along with a mind-boggling number of other terrible heat maps on Fan Graphs. We can thank TruMedia for this. As you can clearly see here, Ryan Howard’s fly ball distance against soft-throwing righties… is… well, the trend is obvious. Pitchers have been tie-dying the zone in an effort to contain Howard’s mammoth raw power. These come from Pending Pinstripes, and I think the article is about how Curtis Granderson’s new swing is making everyone throw up? I’m not sure. 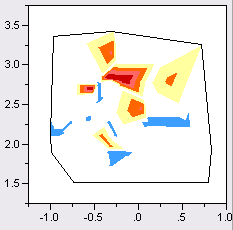 Sabermetrics got along well without heat maps for a long time. 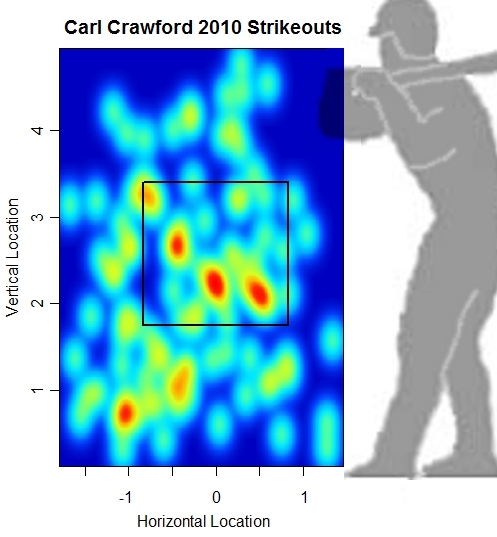 I know it seems that pitch location data is just begging for them and they’re just so darn easy to make, but cool it, people. It’s played.